Jewelry is often given and received to mark special occasions like birthdays, engagements, weddings and graduations. While you can’t put a price on the sentimental value of these items, as we know, they do often have a monetary value. The portable size of rings, necklaces, broaches and other pieces in your collection also make them easy to misplace during trips to the beach, workouts at the gym and even washing dishes, in addition to a target for thieves. What’s more; standard homeowners insurance policies often will not cover the entire value of high-priced jewelry items – even if they are lost during a coverable event like fire, flood or theft. Fortunately, our expert team at Child-Genovese Insurance Agency can provide you with protection for your keepsakes in the form of comprehensive jewelry insurance in Massachusetts and throughout greater Boston. Because jewelry is viewed as a luxury rather than a necessity, it can often take a backseat to other high value items that you prioritize insuring like your car and home. Though you don’t need your jewelry to get to work in the morning or provide you with shelter at night, it can still cause significant emotional devastation when lost, damaged or stolen. Imagine the heartache you and your partner would experience if your wedding ring went missing in action. What if you could not afford to replace it? With jewelry insurance in Massachusetts from Child-Genovese Insurance Agency, you can rest easy knowing you’ll be able to immediately replace your most precious items – should the unforeseen occur. We are members of The New England Jewelers Association, The Boston Jewelers Club, The Providence Jewelers Club and the MJSA (Manufacturing Jewelers & Suppliers of America). We help individuals throughout Massachusetts and across New England including Maine and New Hampshire. At Child-Genovese Insurance Agency we’ve been helping our loyal clients protect what matters most with jewelry insurance in Massachusetts, Rhode Island, New Hampshire and throughout New England for over a century. As part of our commitment to the security of your pieces of jewelry, we also provide our professional recommendations for their storage and documentation. We suggest keeping your items in a safe-deposit box when not in use. When traveling, only bring jewelry that you plan to wear and avoid storing it in your unattended baggage. Keep your traditional appraisal paperwork and store receipts. As a modern jewelry collector, you can also snap and store high-resolution photos of your inventory from the convenience of your smartphone. These images can serve as invaluable references when finding suitable replacements. 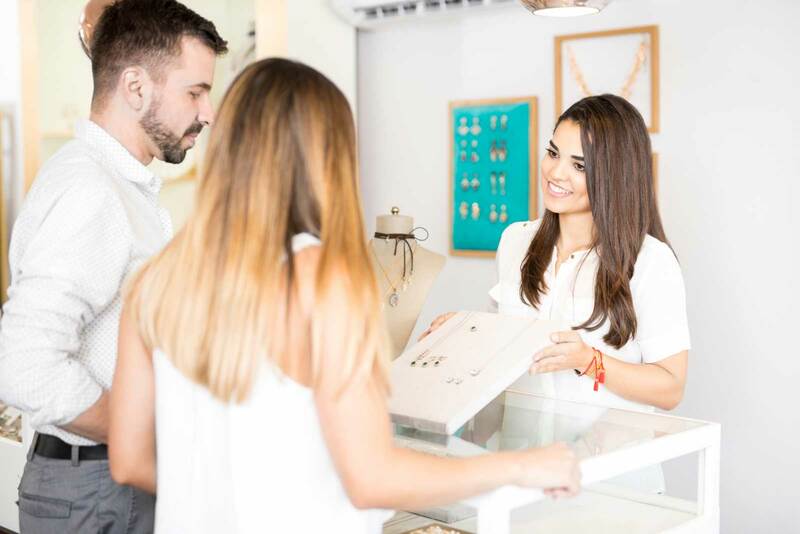 Start wearing your jewelry with the confidence that only comprehensive jewelry insurance in Massachusetts from our team at Child-Genovese Insurance Agency can provide.Call (781) 749-7566 email info@CGIIns.com or leave a message on our website to explore your coverage options today.